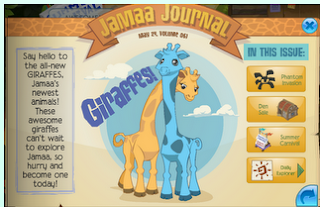 ✮✭XxFreeSpiritxX's Animal Jam Freedom✭✮: Way cool Update! Well, It's only fair for me to do a big post like an update. 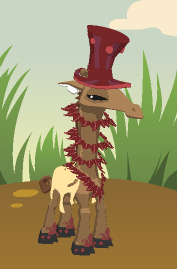 They have a giraffe badge, too. 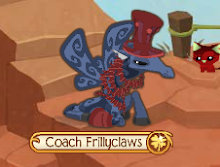 But, when I was checking out the elf bracelets - look the pattern glitches over your legs! These giraffes are kinda awkward to move around and dance, but so were horses at first. 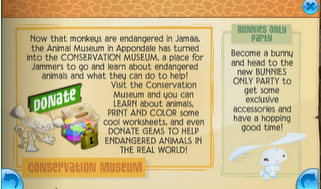 Conservation Museum! 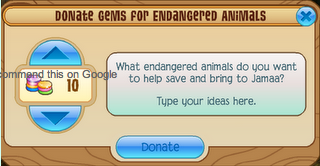 They changed the Animal Museum for the better, to help donate gems to help endangered animals! Club Penguin has a drive for their 'coins' like this every year around the holidays. Man, so many good places disappearing. First medical center, now animal museum, what next? Also a bunnies only party, that hopefully one of my authors will do. Ahh! 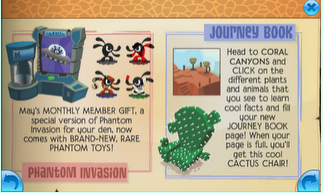 New Phantom Toys in the monthly gift Phantom Invasion. This is kinda tricky to understand, but let me explain: These rare/special phantom toys are only available in the phantom invasion that was given out for monthly gifts - not in the Sol Arcade. Denstravaganza! - Wow, AJ is getting pretty crazy for the summer! - All Dens are Half Price and the Snow fort is on clearance, along with snow items..Make sure to buy it! 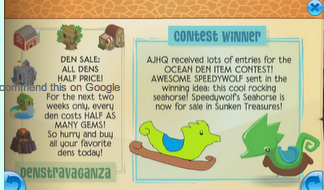 Contest winner - Speedywolf's Seahorse. Kinda funny wolf in a ocean den item name. 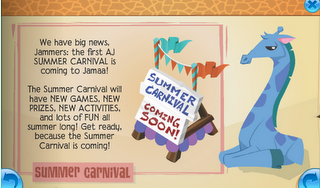 AJ's First summer carnival! There are signs all over jamaa, and I can't wait! New PRIZES, ACTIVITIES, AND FUN! Yay! We can't wait, maybe some polls to help predict what might come..
One special Member Animal will be available for non members! For some reason I think it's going to be crocodile. Hopefully not rhinos, because that will ruin supermonkeys specialty. 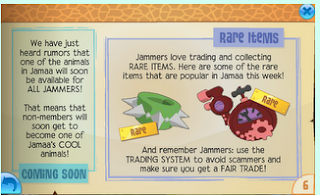 Also, Spiked Collar and wristbands and the Bubbletron 5000 are now rare items. They were both monthly gifts at one point. Be on the lookout for Clearance items!, and check out the new postcard!